Hear the whole discussion from the discussion from Friday 20th at Ventriloquist Radio! Supported by Grafill Bergen and Stavanger! More alternative education models and initiatives are being founded and organised across the globe now more than ever – including, but not limited to, summer schools, residency programs and independent graduate programs. But how is the discourses and curriculum produced in these initiative spread and documented? We are currently in the midts of an international educational crisis in the arts. Distrust towards higher education is growing – due in parts to increased tuition fees, quantitive measuring models and questioning of the role of the academy today. In light of BABF we will be looking at the relation between alternative education models and publishing. 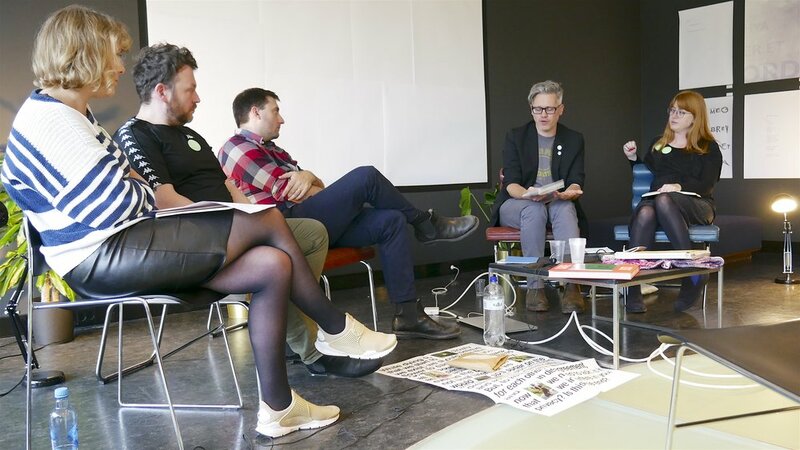 What role does the publication play for alternative education models in design and the arts, and how can publishing documents or spread the discourse produced within them? Benjamin Hickethier, part of the collective Fazed Grunion, which grew out of a Summer Design Academy with the Design Displacement Group at the Jan van Eyck Academie. The panel is curated and moderated by Kristina Ketola Bore, co-founder of The Ventriloquist Summerschool.